A longtime high-ranking Washington, D.C., city official has been charged with filing a false tax return in 2010 that underreported his salary by nearly $230,000, according to a criminal complaint filed by federal prosecutors. 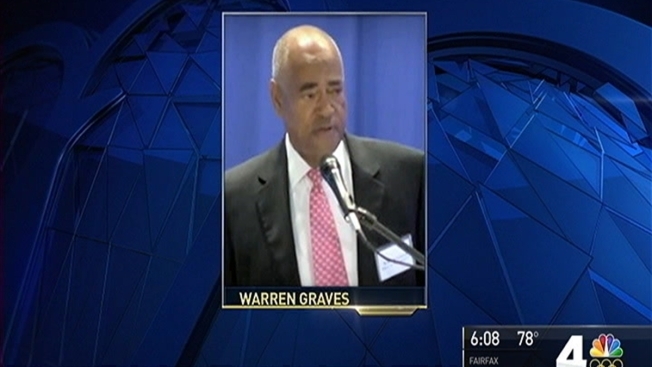 Warren Graves, who served as chief of staff to former D.C. City Administrator Allen Lew, will face as much as three years in prison and a $100,000 fine if convicted of the charge. A hearing in his case is expected in D.C. federal court in the coming weeks. His attorney, Charles Ray Jr., declined to comment on the case when contacted by the News4 I-Team. Federal prosecutors, in their court filings, said Graves misrepresented his annual pay in a 2009 Form 1040 filed with the Internal Revenue Service. “The 2009 Form 1040, which was prepared and signed in the District of Columbia and filed with the Internal Revenue Service, stated that Defendant’s taxable income was $140,556, whereas, he then and there knew his taxable income was $368,937, the court filing says. Graves was hired by the Vincent Gray administration in February 2011. He previously served as a top aide to former mayors Marion Barry and Anthony Williams. A spokeswoman for current city administrator Rashad Young said the office had not been notified of the charges against Graves.